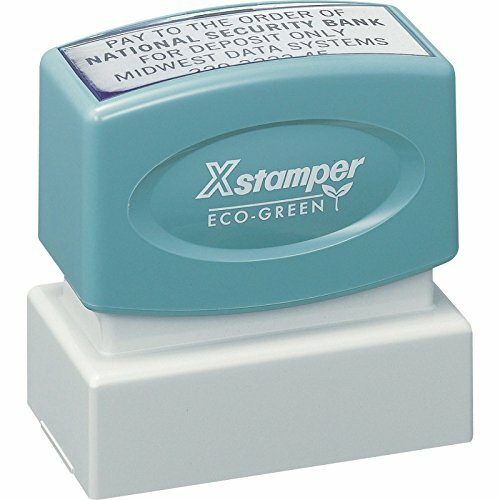 Xstamper Pre-Inked Custom Stamp N12 1" x 2"
Xstamper Pre-Inked Custom Stamp N13 9/16" x 2"
Imprint 360 your #1 source for quality business products specializing in stamps and signs Xstamper 1047 "POSTED" Rubber Stamp• Xstamper # 1047 • Red Ink• Impression Size: 1/2" x 1-5/8" • laser engraved rubber makes this stamp strong for many years of use• Makes approximately 50,000 impressions before needing to be re-inked • Re-Inking Instructions: Remove the handle (Top) and place 3 to 4 drops of Xstamper Refill Ink into the opening of the stamp, it is recomended to re-ink your stamp overnight to allow the ink to fully absorb into the stamp pad. • Features Xstamper (Oil Based) Ink. 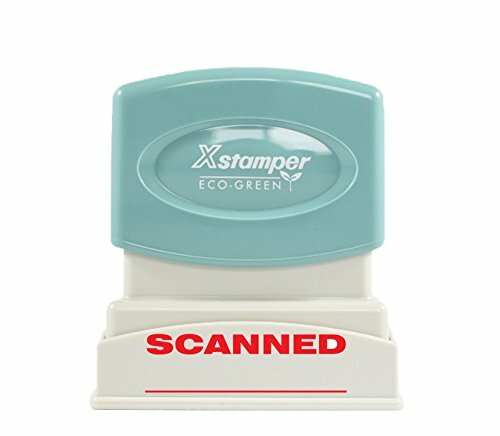 • High quality stamp will provide years of service. 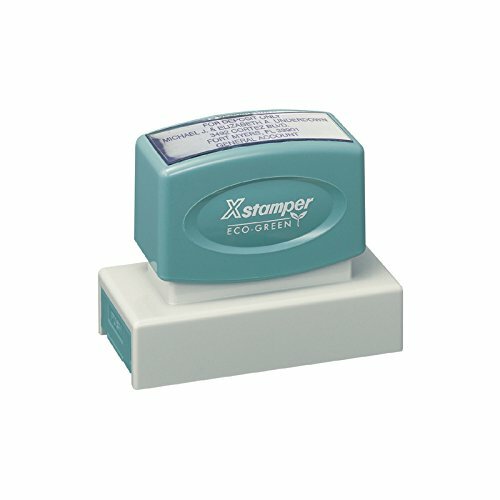 Ideal for both business and personal use and makes an excellent small address, bank deposit or any small message stamp. We will personalize your stamp with up to 3 lines of custom text. After making your purchase, please contact us, providing your personalized message. Be sure to include ink color (black, red, blue, green, purple), and your preferred font. 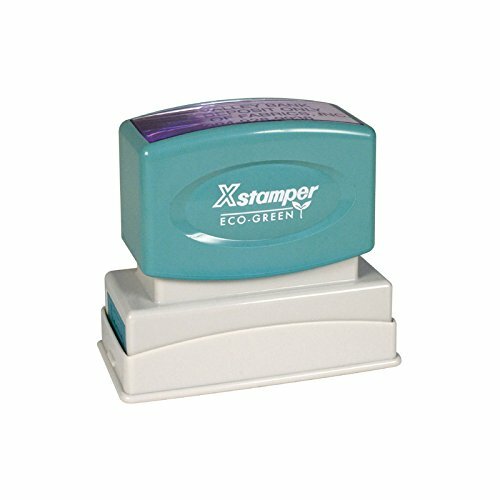 Xstamper 1829 Scanned, Pre Inked Laser Engraved Rubber Stamp, Red Ink, Impression Size: 1/2" x 1-5/8"
Imprint 360 your #1 source for quality business products specializing in stamps and signs Xstamper 1829 "SCANNED" Rubber Stamp• Xstamper # 1829 • Red Ink• Impression Size: 1/2" x 1-5/8" • laser engraved rubber makes this stamp strong for many years of use• Makes approximately 50,000 impressions before needing to be re-inked • Re-Inking Instructions: Remove the handle (Top) and place 3 to 4 drops of Xstamper Refill Ink into the opening of the stamp, it is recomended to re-ink your stamp overnight to allow the ink to fully absorb into the stamp pad. • Features Xstamper (Oil Based) Ink. • High quality stamp will provide years of service. 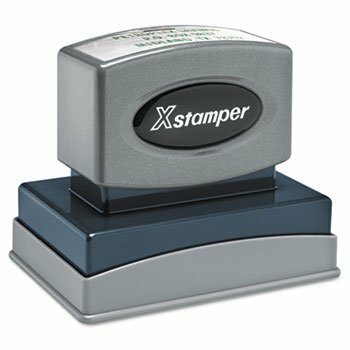 Imprint 360 your #1 source for quality business products specializing in stamps and signs Xstamper 1825 "VOID" Rubber Stamp• Xstamper # 1825 • Red Ink• Impression Size: 1/2" x 1-5/8" • laser engraved rubber makes this stamp strong for many years of use• Makes approximately 50,000 impressions before needing to be re-inked • Re-Inking Instructions: Remove the handle (Top) and place 3 to 4 drops of Xstamper Refill Ink into the opening of the stamp, it is recomended to re-ink your stamp overnight to allow the ink to fully absorb into the stamp pad. • Features Xstamper (Oil Based) Ink. 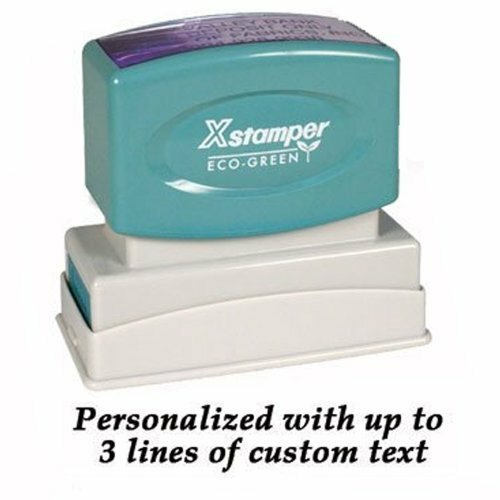 • High quality stamp will provide years of service. 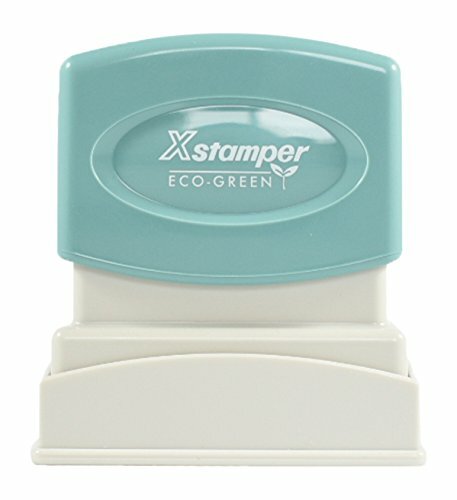 Xstamper N16 Pre-Inked Custom Stamp 1-1/2" x 2-1/2"
Xstamper Pre-Inked Custom Stamp N18 7/8" x 2-3/4"
Want more Xstamper Rubber Stamp similar ideas? Try to explore these searches: Double Aluminum Plank, Manhattan Six Drawer Dresser, and Baby Dolphins Earrings.